I interrupt today’s 52/52 Challenge post (mostly because the project isn’t done…it’s a big one!) 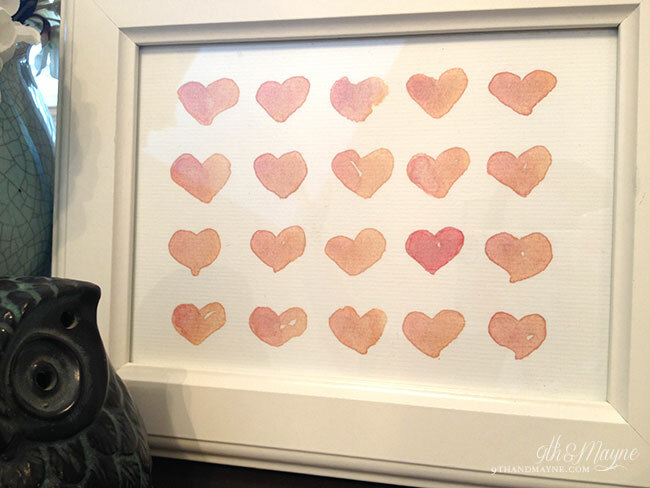 and share a Free Valentine Watercolor Printable 5×7. This painting came from an idea that popped in my head and wouldn’t get out until I put it on paper. It looks exactly like I imagined…love it when that happens! 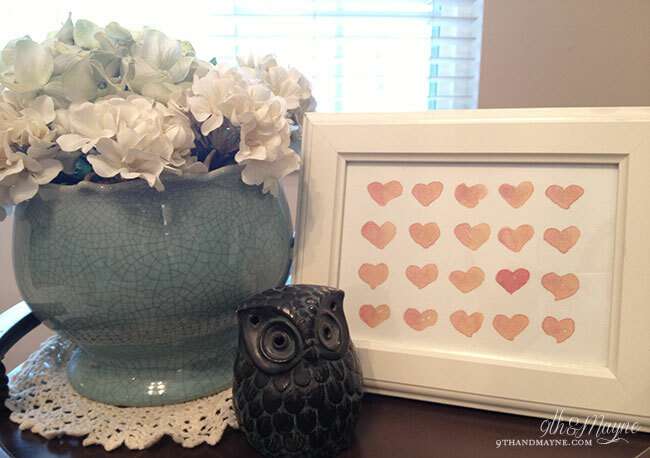 I love that each heart is different and I’m so happy with the way the colors turned out. What do you think? If you’re interested in purchasing this print…email me or leave a comment below. Feel free to download and print this out. If sharing on the web, please give credit by linking back to www.9thandmayne.com. Thank you! All monitors and printers vary in color and printing methods so colors and position of artwork may not print the same as what’s seen here. TIP: For best results, print on heavy duty paper 80lb or higher. I’m linking up with Make the Scene Monday, Made by You Mondays, Get Your Craft On, Monday Funday, Creative Spark, What We Accomplished Wednesdays, Think Tank, Transformation Thursday & Inspiration Gallery & Fabulously Creative Friday. So many great projects on these sites, check’em out! 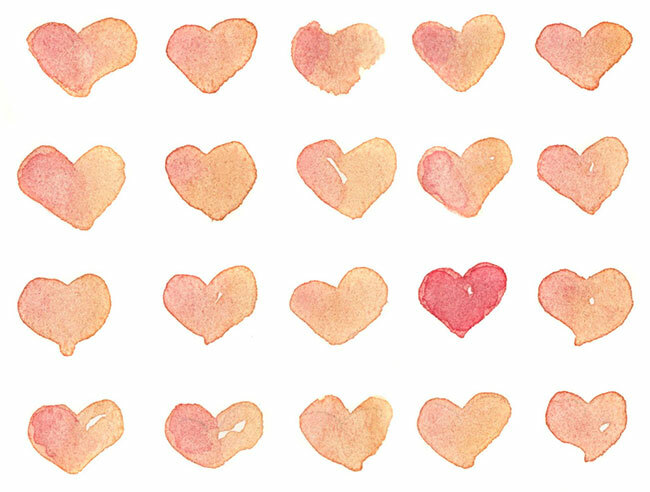 nice hearts! I love your idea of sharing images with people! Love these! Will post about it soon. my kind of colors! looooove!